The time has arrived as the largest sub-continental country is ready to embrace the world football fraternity being the host to a FIFA tournament for the first time in history. India announced their squad for the Cup and we take a look at some of the colts who will lead the Indian challenge in the World Cup. 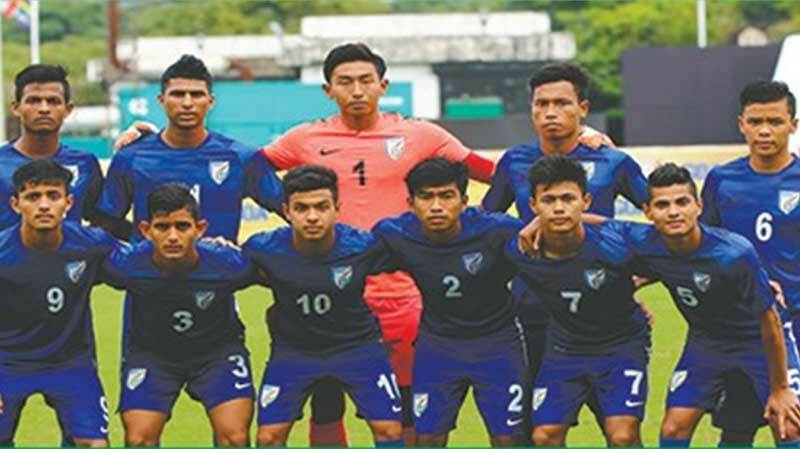 The 16 year old midfielder from Manipur; brought up in a farmer family had little idea that one day he will realize his dream of leading the country. A great fan of FC Barcelona the 16 year old idolizes Andres Iniesta, and will carry the hopes and dreams of 1.3 billion people on his sleeves along with the yellow armband. One of the most vital cogs in the defence, the super agile nimble footed Boris started his football career practicing with tennis balls. As cinematic as his childhood has been with his parents, who work on daily basis, we hope that this tournament be more cinematic than ever. He idolizes Real Madrid superstar Cristiano Ronaldo. Fondly called Billa, this guy’s first love was cricket. Being entrusted of handling buffaloes by his mother in his earlier days, Billa used to run away to football fields often. A Salman Khan fan with Sultan being his favourite film, this Minerva FC academy lad has a long way to go. One of the youngest players in the squad, 15-year old Dheeraj has the largest burden of 1.3 billion people who would hope that not a single ball passes through him. With nerves of steel and a great range of comfort in D-box, Dheeraj is ready to carry these responsibilities as the No. 1. The former U-16 skipper exudes calm in midfield and shows a slice of Toni Kroos, his idol on the field. Having started as a goalie in his earlier days, he now plies his trade in the midfiled and lot of expectations ride on his game. The poster boy of Colts, Komal comes from a very humble family of tailors. Despite critical financial condition, Komal with the support of his father vows to turn the things around exactly as he has been doing for the national team scoring against teams like Brazil. This midfielder from Bandel, a very small part of West Bengal brings about a motivating story in his short career so far. Son of a van rickshaw driver & ‘bidi’-binder, Abhijit‘s life turned around when the late Brazillian legend, Carlos Alberto gifted a football to him during a tour and told him to make that ball the dearest friend of his life. Jackson Singh is a Minerva FC academy graduate who joined the team when coach Matos took over. He is a dynamic midfielder and is a huge fan of Real Madrid. He aims to play for Indian side Bengaluru FC some day. India’s best possible attacking bet, Aniket has the potential to become the goal machine India requires. The tall winger is blessed with tight composure, good physique, nice ball control and exceptionally good technique. A lot will depend upon how these two lads convert chances in the final front. Rahim Ali a resident of West Bengal is a tremendous intelligent forward who is a regular player in Mohun Bagan Junior team, will hope his partnership with Rahul a very creative attacking midfielder and another CR7 fan like himself, bring some laurels.